Kienzle synchronous clocks were made by the Anglo-Continental Clock Co Ltd, 1-4 Fleur-de-Lys Street, London E 1. For more information on the clock click on the link. I have just bought one of these beauties in Edinburgh today as I liked the look of it. 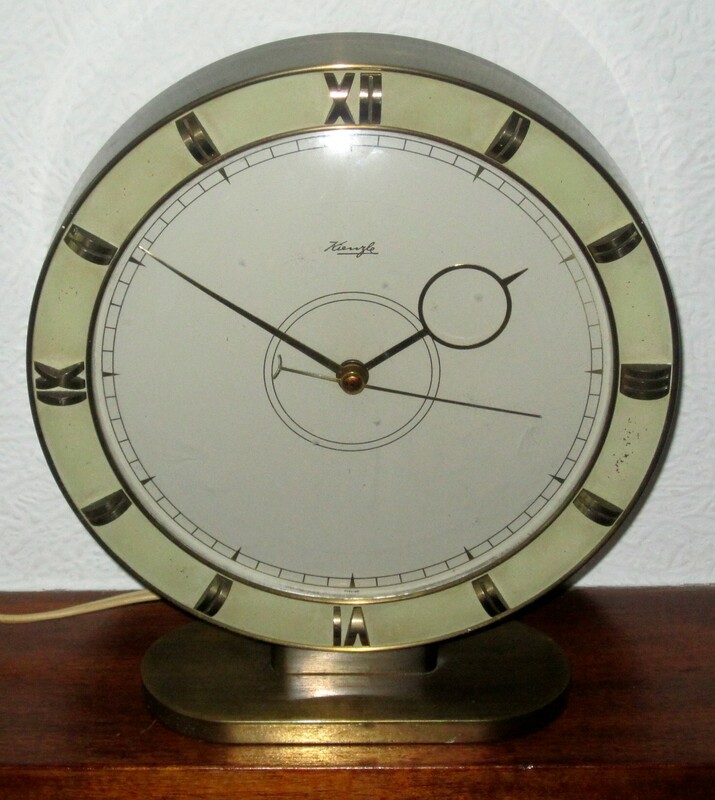 It’s a nice big chunky well-made clock and I was fascinated to note that, when I started the clock manually, by turning the start knob, the seconds hand pulsed forward, rather than a continuous sweep – most unusual for a synchronous motor clock. Thanks for info above about who made the clock which is always useful and interesting. I also note that the seconds hand is pretty accurate in aligning itself to the seconds markers on the dial which is good. I like the look of the counterpoised seconds hand too, the hour hand and the whole clock.